A few weeks ago I was texting back and forth with a friend of mine and he was in the middle of roasting olives. Roasting olives? I have never heard of such a thing. Turns out he and his wife had first tried them while dining out at Seasons 52. This sparked my curiosity as both Chad and I love olives. We rarely visit The Fresh Market without hitting up the olives bar. 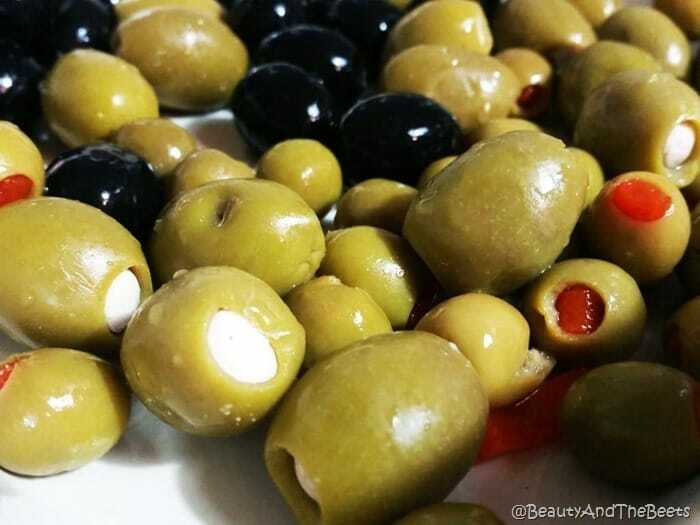 Olives are just full of all that healthy fat we need, and they are so delicious. Especially when they are stuffed with blue cheese or chunks of fresh garlic. Am I right? 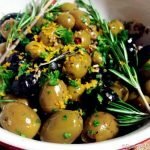 I started looking up recipes on the internet and was quite surprised to find a large selection of the many ways to roast olives. I decided to mix and match some of the recipes together to imagine my own version and turns out it was a pretty big hit at my house. Basically, these are quite addictive. I posted a picture on my Instagram account right after making them one night and I was flooded with requests for the recipe. 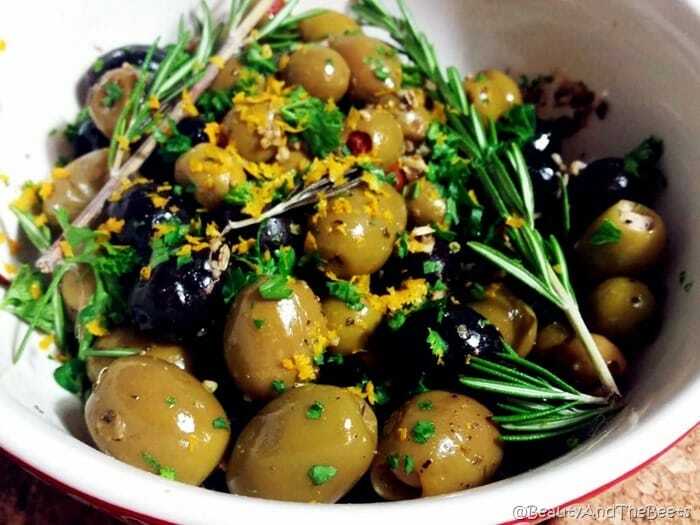 So here it is- though in my opinion roasted olives are best served warm, I didn’t shy away from eating a big bowl of the olives the following day after they sat in the fridge and cooled overnight. I almost preferred them the next day as all the flavors had a significant amount of time to meld together. I served them as a side dish to dinner one night and as I said, they were a big hit. I also used simple jarred olives- just be sure they are pitted or they will be much harder to enjoy. I bought simple jarred and canned olives but feel free to use any type of olives you prefer. Make sure the olives you use are pitted however. 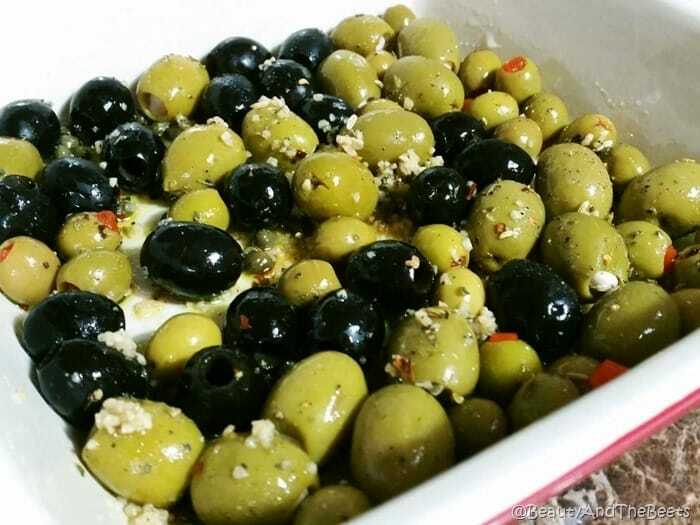 In a medium mixing bowl, toss the olives with the olive oil, garlic, oregano, fennel seed, red pepper flakes, salt and pepper. Pour the olive mix into a shallow baking dish, try to create a single layer across the pan. Pour the fresh orange juice over the olives and lightly shake pan to lightly coat the olives with the juice. Add 3-4 rosemary sprigs on top of the olives. Roast the olives for about 15 minutes. Remove from oven just as the skins of the olives begin to crinkle. Transfer the olives (careful: hot!) to your serving dish. 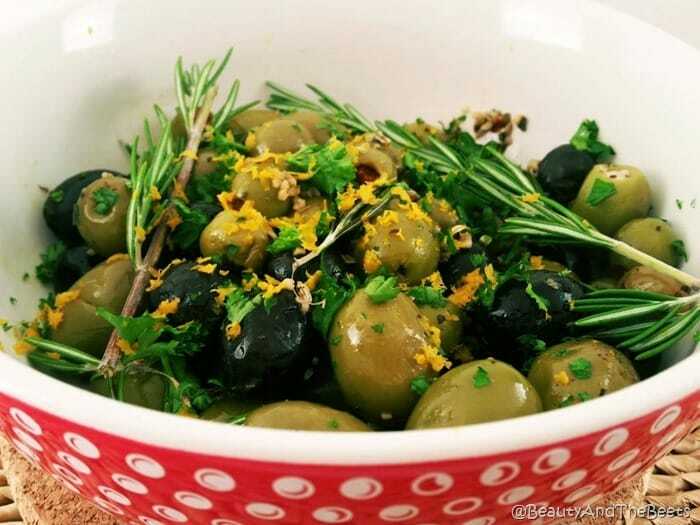 Top olives with orange zest and minced parsley. Serve olives warm. 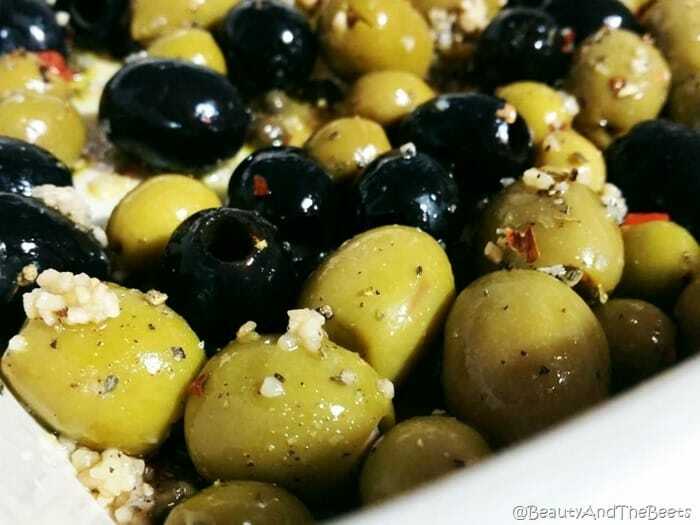 Have you ever tried roasted olives? What do you like to roast them with? I had a friend make these a couple years ago & I also fell in love w/them. A great appetizer, esp on an antipasto platter. No question that this is something I will do. After all, you are the one that turned me onto roasted tomatoes which I love love love!!!!!!!!!! This is very timely since I just read the health benefits of olives I am so excited to try this. Thank you for sharing.